Smith's eclectic international menu features dishes like foie-gras truffle pizzas, grilled Iberico pork, and oven-baked chicken and mushrooms with raclette cheese. 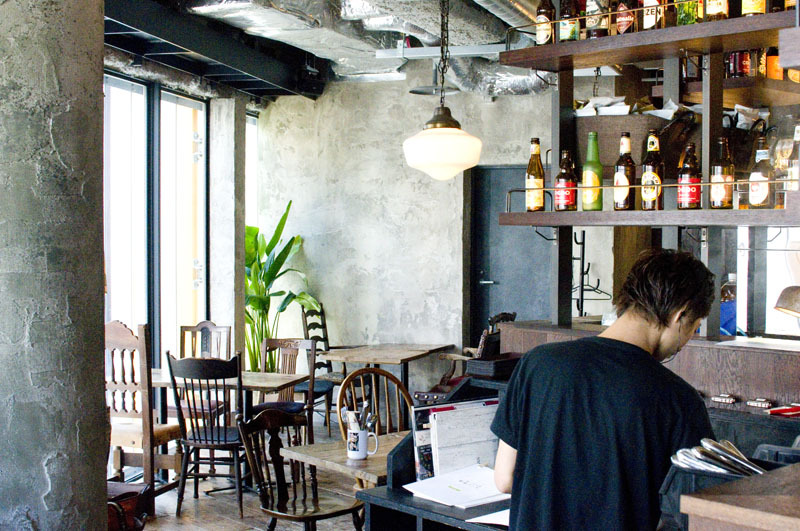 Drinks include eight Japanese craft beers on tap, plus their own house IPA and one US import. There are also another 8-10 craft beers by the bottle for a bit more variety. 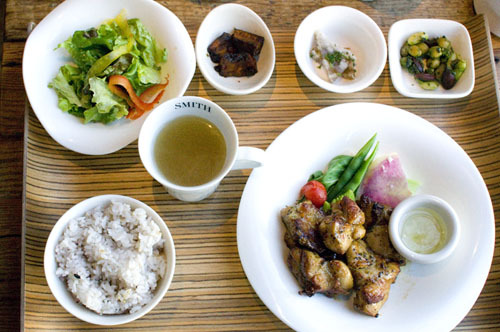 Lunch at Smith is a pretty good deal; for Y1080 you have your choice of six main dishes (baked curry, Thai chicken), plus a drink, salad, a small vegetable juice and several side dishes. The attractively appointed dining room has a distinctive urban, converted-warehouse look (poured concrete, distressed wood, potted trees), with floor-to-celing windows looking out onto Meiji-dori. 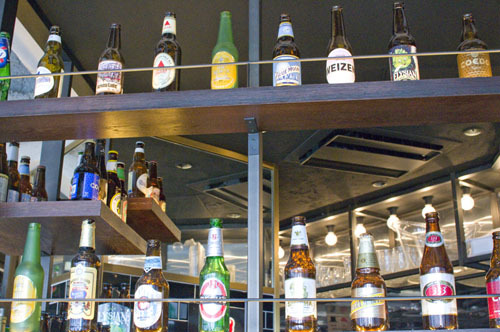 Draft beers start at Y1080 for a large glass (400ml), or Y690 for a small (240ml), from a rotating roster of breweries, while bottles (e.g. Shiga Kogen Pale Ale, Space Dust IPA) are mostly Y1080. House wines are Y580 per glass (Y1600 per decanter), and everything's cheaper during Happy Hour, which runs until 7pm. Budget around Y4000 for food and drink at dinnertime. Shibuya-ku, Jingumae 6-28-6, Q Plaza Harajuku 4F.